DID YOU KNOW MOST POTS HAVE BUILT IN SPOON HOLDERS? - ProudMummy.com the Web's Community for Mums. 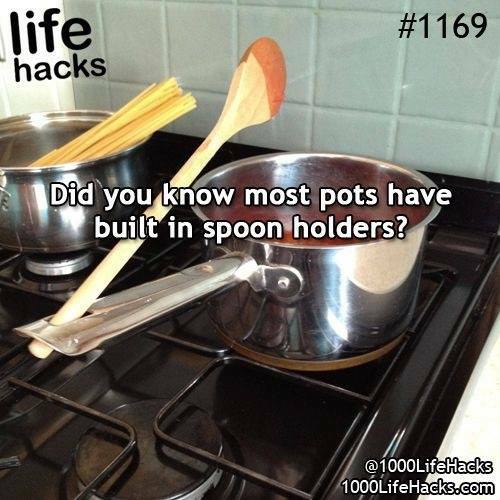 Home » Memes » Home & DIY » DID YOU KNOW MOST POTS HAVE BUILT IN SPOON HOLDERS? DID YOU KNOW MOST POTS HAVE BUILT IN SPOON HOLDERS?